The first time that you join a bingo chat, you may think “what are they talking about? It is impossible to understand this…”. Don’t panic; it’s normal. The language used in bingo is a little bit different and it is quite similar to how we communicate via SMS (short forms, abbreviations, letter and numerical combinations, etc.) because some of the players play from mobile devices using small keyboards. Another reason is that online bingo is a very fast game, and while customers are playing they are also talking to other roomies on chat and taking part in small chat games. Is it possible to keep up? Of course it is! 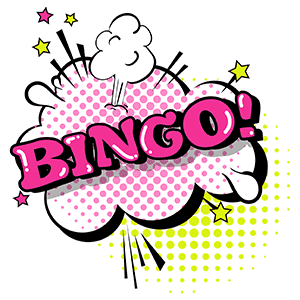 As we said before, don’t worry because after a few games you will be an expert with all this “bingo slang”. Have a look at the list below to see the most common abbreviations and short forms used in online bingo.